Fear can work in strange ways; many people find that some form of creepy crawly represents a real fear for them. This could be spiders, moths, hornets, and many other forms of insect, but mammals are not exempt from this kind of phobia either with mice and rats being right near the top. In fact murophobia is one of the most common specific phobias recorded, but the question of why rats and mice are so prone to causing fear is a bit more complicated. When compared to many other animals, it cannot be claimed that rats and mice are inherently that dangerous in themselves. Yes, they can carry parasites and infections which can cause serious health problems in other mammals, but the actual animals themselves aren’t exactly the most threatening. One possible cause of this irrational fear is the way in which they move. Appearing suddenly from the corners of your vision and scurrying rapidly across the floor before disappearing is a description that would suit a monster quite nicely, but this is how rats and mice tend to behave as well. But this alone wouldn’t explain the prolific reports of murophobia; there is a much bigger component – socially conditioned responses. From an early age we are introduced to many stereotypes and intentionally or otherwise indoctrinated into certain ways of thinking. There is historical rationale considering the great plagues are associated with rodents, even if this is not as clean cut as people believe, but there is also the media and entertainment industries. One of the classic images from cartoons and many other places is that of a woman standing on a chair screaming as mouse scurries across the kitchen floor. Without digging into the numerous ways in which this is inappropriate in modern times, it is an example of a prejudice against mice and rats that is burned into the social consciousness. The animals aren’t really doing anything wrong, and almost never appear threatening, yet they are eliciting an over the top fear response and people remember this, consciously or subconsciously, but it stays in the back of your mind. There is of course reason to be wary of mice and rats, given the damage they can cause to your home and the potential for infection that they pose. But having rodents invade your home is not a cause for fear and screaming from on top of chairs, it is cause for Expert Pest Control. If you have rodents in your house then there is a pretty good chance that you are giving them reason to be there. Check for exposed waste, blocked drains or points of entry for them and see if you can stop the invasion. 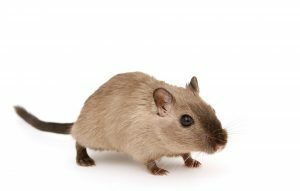 There will of course be times when mouse and rat pest control solutions will be needed and this can range from traps and poisoned bait up to calling in professional exterminators to handle the situation. Regardless of how you find yourself sharing your home with rodents, don’t let them scare you, they will always be far more scared of you than you are of them. Honestly.